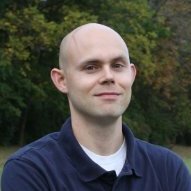 I'm a full stack software developer with more than twelve years of professional experience. I specialize in crafting responsive, single page applications for web and mobile. The best way to reach me is via LinkedIn or GitHub. myNextGear is an AngularJS financial web application for car dealerships. A mobile version is also supported in iTunes and Google play. My contributions to the myNextGear application included playing a critical role in internationalizing and localizing the application for an important launch to the French Canadian market. I also played a major role in putting in place a continuous integration process using Bamboo. Additionally, I took part in improvements such as Kelley Blue Book integration and putting testing environments in place using tools such as Protractor and Frisby.js. 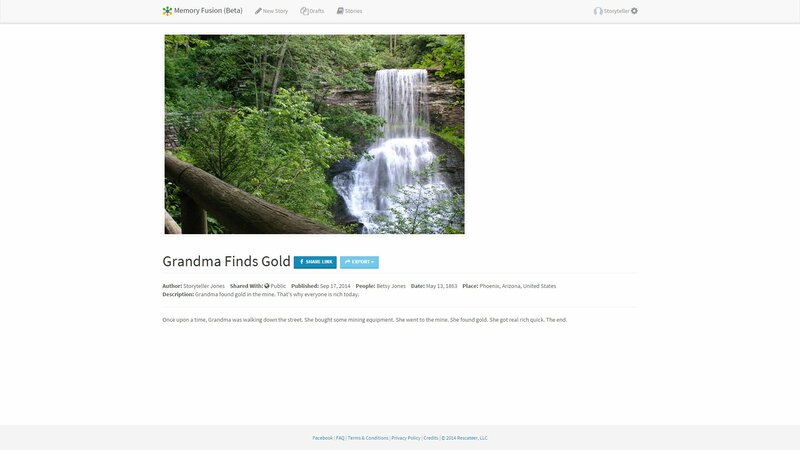 MemoryFusion is a responsive web application that provides social, real-time family history story collaboration. 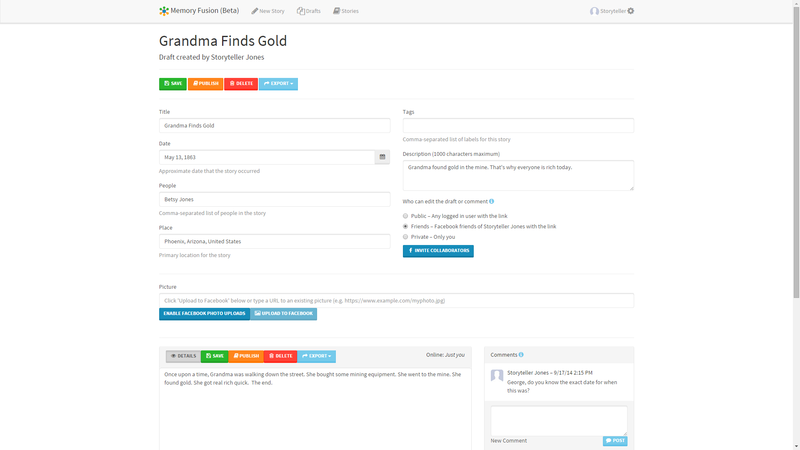 It features a real-time editor for writing family history stories, tools to discover and read stories, and Facebook sharing. Users log in with Facebook Login. They can write new stories or read stories published by others. When writing a new story, they can share the link via Facebook and edit the story in real time with other collaborators. Users can provide metadata about the story such as the date, place, people and other tags. This metadata is also synced for all collaborators during editing and can also be used later to search published stories. Several views are provided for managing story drafts and for searching for stories to read. A feed view displays the latest stories in a familiar social feed layout. A table view allows for searching stories based on any metadata property. A thumbnail view fills the screen with images and story descriptions similar to Pinterest but with more emphasis on the textual content. Memory Fusion was built with my standard web technology stack. One of the key development challenges was managing access rights to the stories since there are three levels of privacy that can be set (private, Facebook friends, public). Another development challenge was the authentication and authorization components that had to play nice with Facebook Login, a stateless Web API and the real-time collaboration. Simply Status is Facebook.com web application for desktop (canvas application) that provides a more concise Facebook news feed. It reads your news feed and only shows you status updates from your friends. It utilizes local browser storage to cache Facebook API calls to conserve bandwidth and make the app faster. SOS Friend alert is another Facebook.com web application for desktop that searches your Facebook news feed and friend timelines and looks for keywords and phrases that might be important. Important statuses (alerts) are highlighted for you and brought to the top of your feed. It uses regular expressions for its searches which provides a very efficient way to perform searches. However, since there is no additional intelligence the user can expect a lot of false positives in the results. The main technical challenge in this application is that Facebook can suddenly reject what it may consider excessive API calls. However, there is no hard limit on this. Therefore, the app has to throttle API calls to avoid failure. 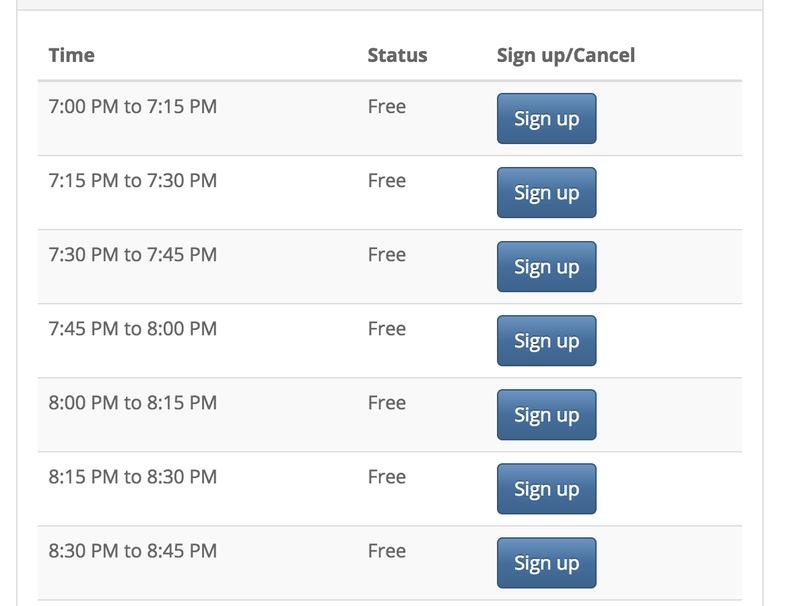 Early in 2014 I developed an interview scheduling web application for a local organization. The application makes it much easier for clients to schedule interviews (replaces an ad hoc email approach) and reduces incidents of missed appointments and misinformation. Thus, it has significantly reduced the administrative burden and increased the customer service level. The application allows clients to schedule their own appointments directly. It sends automated email reminders the day of the appointment. It provides an ICalendar (ics) feed for the interviewers that can be used from any common calendar app on a mobile device. The application uses SendGrid for email notifications and Azure Table Storage (NoSQL) for its backend data storage. One challenging aspect of the application is the handling of time zones. Commonly in applications the local time for the user is displayed but for this case the local time for the location for the interviews is displayed. Probably the most complex aspect of the site is the two authentication options. The first involves a modified Facebook Login flow which requires a typical Facebook Login augmented with a query from the server to Facebook (using the Graph API) to verify their membership in one of the organization's Facebook groups. At this point in the login flow, if the user is not a member of one of the approved Facebook groups, the administrator is emailed with the user’s contact information so that he can verify their membership and add the user to the approved Facebook group. Meanwhile the user can still prove membership in the organization and immediately authenticate by providing a URL to their organizational profile—if it is connected to their Facebook profile, then they are authenticated. The second login flow allows the users to provide an organizational user name and password that is authenticated via a public endpoint with their main organization’s web site. Since a user may only have a Facebook account or an organization account, both authentication methods are provided. Late in 2013 I lead a small team to develop a single page web application for a large corporation. The application aims to significantly decrease the time it takes for running simulations and provides a dashboard for viewing results. I developed a custom single page application framework using Knockout.js for the project. On the server side there were a few interesting features including integration with Phoenix Integration software such as PHX ModelCenter® to run simulations and a real-time API for clients to receive simulation progress updates.